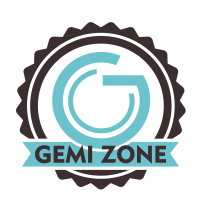 The Gemi Zone is a new technique that uses the scientific healing properties of gemstones that can be used on its own or used as a complementary modality with the Foot Zone Technique or Massage Therapy. In this 2-hour seminar, come learn, play, experience and implement this simple technique that anyone can do. Location: Wellness Life Zone Center 9176 South 300 West #5, Sandy, UT. Call 801-598-5699 for details.